When people stay at any hotel, they typically expect to be treated as a respected guest. When a hotel does not adequately maintain the rooms they rent or equipment in them, it can result in people being injured in different kinds of accidents. Other kinds of accidents may stem from hotels not having proper staff or staff member negligence. In some cases, it may be hotel employees who are injured in hotel accidents. Did you suffer severe injuries or was your loved one killed in any kind of accident at a hotel caused by another party’s negligence in Maryland? It will be important for you to seek legal representation right away. CHASENBOSCOLO represents residents of and visitors to communities all over Maryland. Call (301) 220-0050 or contact us online to schedule of a free consultation. Do I Need A Hotel Injuries Lawyer? Some people are tempted to think that they can handle their hotel injury cases on their own. Insurance companies will often encourage this line of thinking, and victims could be left with meager compensation and little legal recourse for their injuries. An insurer may offer you a lump sum settlement to resolve your case, and an agent may something about how accepting it will let you keep more money for yourself. This promise is usually meaningless because the settlement offer is usually nowhere near what victims are actually entitled to. Some people accept these settlements because they are afraid that they will not be offered anything else. Others mistakenly believe that the offers are fair, when in reality, they are rarely enough to satisfy covering many future expenses. You do not want to be negotiating your case with an insurance company on your own, as insurers are experienced in using these conversations against the victims. An experienced attorney will know how to deal with an insurance company and make sure that you get everything you need and deserve. CHASENBOSCOLO has recovered hundreds of millions of dollars for thousands of clients since 1986. We make ourselves available 24 hours a day, seven days a week. 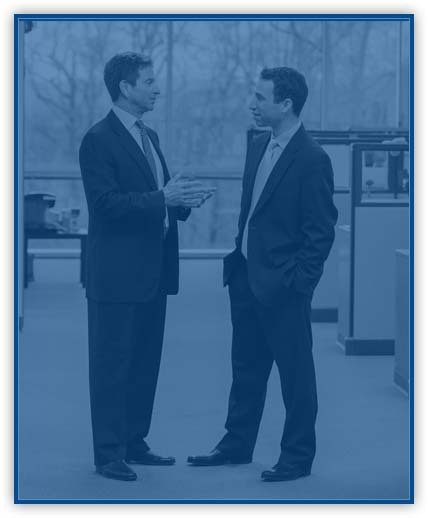 Barry M. Chasen and Benjamin T. Boscolo have both received an AV Preeminent rating from Martindale-Hubbell, a peer rating denoting the highest level of professional excellence. They also each have more than 30 years of legal experience. We understand that many people are reluctant to contact lawyers because of concerns about possible costs. You should know CHASENBOSCOLO provides the No Fee Guarantee®, which means that you only pay when you receive a monetary award. Our firm can negotiate a just settlement which covers all the expenses you have incurred or will incur. If necessary, CHASENBOSCOLO can also file a lawsuit to try your case to court when an insurance company refuses to provide adequate compensation. If a person is killed in a hotel accident, their family members may be able to file a wrongful death action against the negligent parties. Contributory negligence is a defense that is only recognized by Maryland and four other states. Maryland defines contributory negligence as the “degree of reasonable and ordinary care that a plaintiff fails to undertake in the face of an appreciable risk which cooperates with the defendant’s negligence in bringing about the plaintiff’s harm.” A defendant must prove contributory negligence by a preponderance of the evidence, but doing so will bar recovery of damages by the plaintiff. Many people are critical of contributory negligence because it can mean that a person will be unable to recover anything even when they were only 1 percent at fault and 99 percent of the negligence is assigned to a defendant. You will always want to avoid speaking to an insurance company specifically because they will usually be seeking ways to use a contributory negligence defense against you. What damages could I recover for hotel injuries? Hotel injury cases are often resolved through settlements because insurance companies ultimately determine is less costly to settle a case than take it to trial. If a case does go to court, a victim who proves their case by a preponderance of the evidence will be awarded compensatory damages. The phrase compensatory damages usually include a combination of economic damages and noneconomic damages. Economic damages are actual costs that can be calculated and proven like medical expenses, lost income, and property damage. Noneconomic damages are far more subjective and cannot be quantified, possibly including loss of consortium,pain and suffering, or emotional distress. Under Maryland Courts and Judicial Proceedings Code § 3-2A-09, there is a limit (often referred to as a “cap”) of $860,000 on noneconomic damages in 2019. State law provides that the limitation on noneconomic damages increases by $ 15,000 on January 1 of each year. How long do I have to file a lawsuit for hotel injuries? Under Maryland Courts and Judicial Proceedings Code § 5-101, you have three years from the date of an accident to file a civil action. Certain exceptions do exist to the statute of limitations. For example, a person who is incapacitated as the result of their accident can have their limitations period tolled (delayed) until their incapacitation ends. Similarly, a minor will have their limitations period tolled until they reach the age of majority which is 18 years of age. Hotel News Now reported that U.S. Bureau of Labor Statistics data on occupational injuries showed 1 in every 1,000 hotel employees is injured each year. Hotel employees suffered 17,910 injuries in 2014. A study published in the American Journal of Industrial Medicine in February 2010 found that hotel employees have higher rates of occupational injury and sustain more severe injuries than most other service workers. The study found that 2,865 injuries were reported during 55,327 worker-years of observation. The overall injury rate was 5.2 injuries per 100 worker-years. According to the United States Fire Administration (USFA) and the Federal Emergency Management Agency (FEMA), an estimated 3,900 hotel and motel fires were reported to fire departments every year from 2014 to 2016. The fires caused 15 deaths, 100 injuries, and $100 million in property losses. A 2000 Cornell University study found that there were 102,200 nonfatal accidents involving employees at hotels or motels in 1998. With guests, 42 percent of the accidents were slip or trip and fall accidents, 40 percent were security related, 3 percent involved food-borne illnesses, and 15 percent were other causes such as being struck by objects or defective products. For employees, 42 percent of the accidents were slip or trip and fall accidents, 35 percent involved material handling, 13 percent involved being struck by objects, and 10 percent were other causes such as chemicals or fights. If you sustained catastrophic injuries or your loved one was killed in an accident at a hotel in Maryland, do not wait to retain legal counsel. You will want to speak to a lawyer before discussing your case with a hotel or its insurance company. CHASENBOSCOLO will work to make sure that you receive all of the compensation you are entitled to. We can discuss your rights as soon as you call (301) 220-0050 or contact us online to receive a free consultation.